The Kendama USA Sticker Pack Challenge! We have been busy designing our new Sticker Pack for this holiday season. We always give out free stickers with all our orders, and it’s time for some fresh new sticker styles. That’s where YOU come in! This is your chance to have your own custom design included in our new sticker pack. Imagine your Kendama artwork being sent to Kendama players all over the world!! 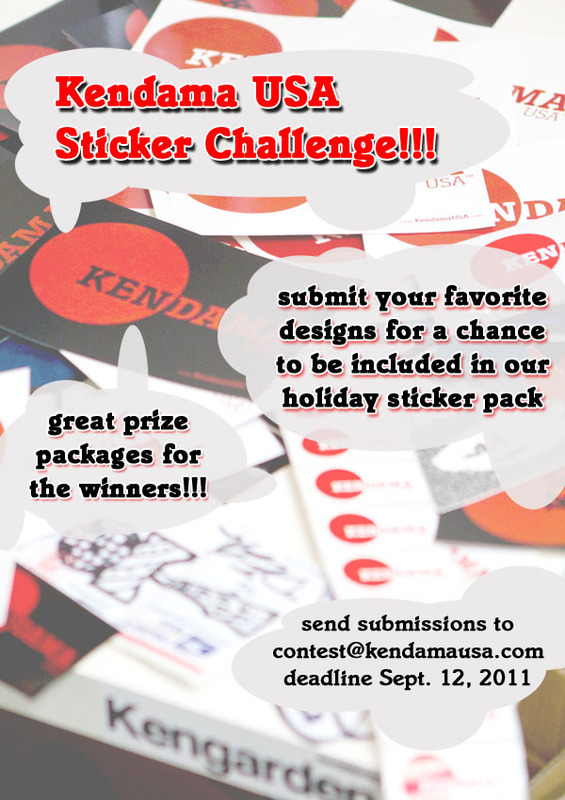 If you have an idea for a great Kendama sticker, get creative and send your favorite designs to customersupport@kendamausa.com before Monday, September 12th, 2011. Our Pro Team will be choosing their favorite submissions, and the top pick(s) will have their design(s) included in this years sticker pack. All winners will be receiving great prize packages from Kendama USA, and will be given full credit and recognition on our website. These prize packages will include LOTS of new stickers, a new Kendama, and some other goodies that you’ll have to win to find out!!! Have fun, and lets see what you got! we’ll happily accept submissions that are photoshoped, illustrator’d, painted, sketched, scanned, crayoned, stamped, engraved, screened, traced, or sculpted. if you’re working in vector and need it in .AI format, just email us! hey is it for like halloween or christmas design? Brandon… the contest is for stickers if you want to show a video post it on youtube or on facebook this is a STICKER contest bro.